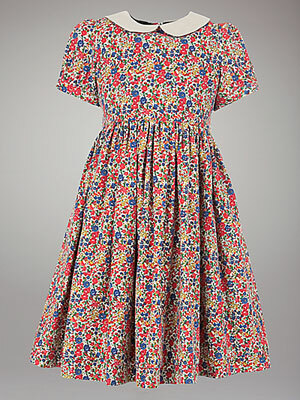 If your little girl would look good in some pre-war vintage, you might well want to check out this John Lewis Heirloom Collection Liberty Dress. 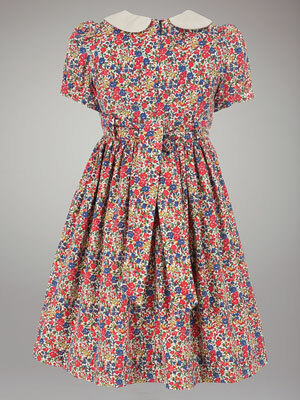 The era from where is takes inspiration is around the ’40s or ’50s, boosted by the use of the vintage floral Liberty cloth. Details include a contrasting Peter Pan collar, puff sleeves and bow tie, while cloth is described as a ‘fine corduroy’. £42 is the price, with sizes from two years to eight years.